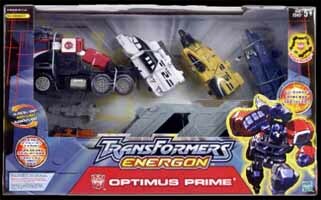 The Optimus Prime pack comes complete with a total of six individual pieces. There's the main Optimus Prime/truck cab, a trailer and four other vehicles. When joined together they create Super Optimus Prime, but you can also play with them seperately, transform the trailer into an Energon tower with helicopter landing pad, or turn the whole thing into a lorry transporter. How cool is that? 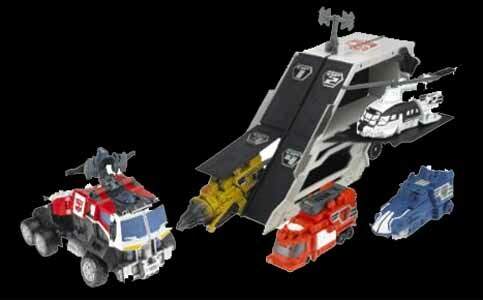 You get a lorry, a base playset and robots to battle with... all in one toy! As fans of this range have come to expect, it's reletively simple to transform these figures from vehicles to robots and back again. At under £30, you can't really ask for more. The Optimus Prime Transformer toy brings the franchise into the 21st century. This really is a monster of a toy and will keep kids (and, dare I say it, adults) amused for hours.